You want 'em, you got 'em! 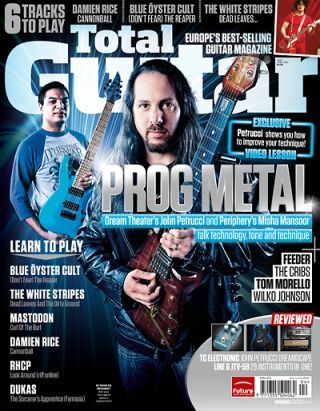 Dream Theater's John Petrucci and Periphery's Misha Mansoor talk tone, technology and technique in issue 226 of Total Guitar. See what else is inside right here! What happens when two generations of prog metal meet. Plus, learn how the man himself brings out the big guns with John Petrucci's Ultimate Warm-Up Routine (video lesson online). The sonic manipulator fields your questions!